Sign up for our TRHT mailing list for updates and resources. This absurd belief, which has fueled racism and conscious and unconscious bias throughout American culture, is the perception of inferiority or superiority based on race, physical characteristics or place of origin. It is when we value one person more than another based on skin color or other physical, superficial characteristics and let those values affect the decisions we make each day in areas like policymaking, in job decisions, in how we teach children – to name a few. The Kellogg Foundation spent 2016 in a design phase for TRHT, partnering with 176 leaders and scholars as representatives of more than 144 national TRHT individual and organizational partners, with a reach of more than 289 million people. The result of those efforts is a TRHT Framework and related recommendations and an Implementation Guidebook to inform community-based TRHT processes. The TRHT Framework and process will help communities heal and produce actionable change. Using the Implementation Guidebook and a series of discussions, each community can gain understanding of the predominant factors and conditions that are supporting the racial hierarchy and blocking progress. 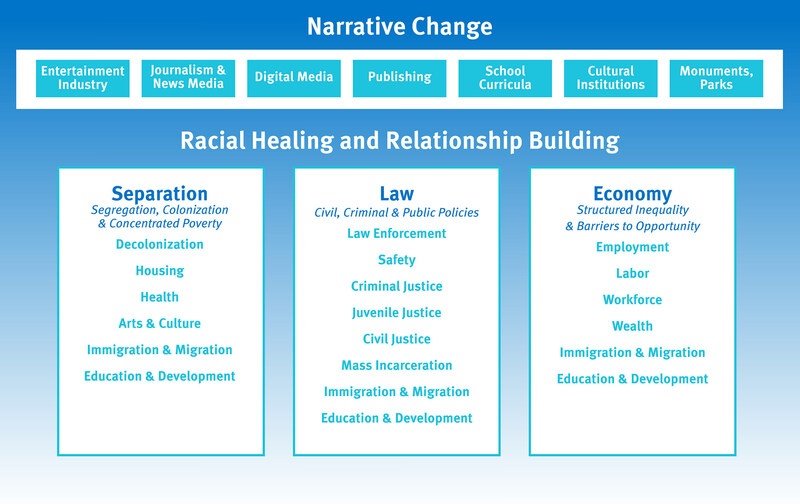 The TRHT Framework consists of five areas, and the first two: Narrative Change and Racial Healing and Relationship Building, are foundational pillars for all TRHT work. And, the remaining three areas are Separation, the Law and Economy. Examining how to create and distribute new complex and complete narratives in entertainment, journalism, digital and social media, school curricula, museums, monuments and parks and in the way we communicate that can influence people’s perspectives, perceptions and behaviors about and towards one another so that we can work more effectively and productively towards community-based change. Focusing on ways for all of us to heal from the wounds of the past, to build mutually respectful relationships across racial and ethnic lines that honor and value each person’s humanity, and to build trusting intergenerational and diverse community relationships that better reflect our common humanity. Examining and finding ways to address segregation, colonization and concentrated poverty in neighborhoods to ultimately ensure equitable access to health, education and jobs. Reviewing discriminatory civil and criminal laws and the public policies that come from them and recommending solutions that will produce a just application of the law. Studying structured inequality and barriers to economic opportunities and recommending approaches that can create an equitable society. 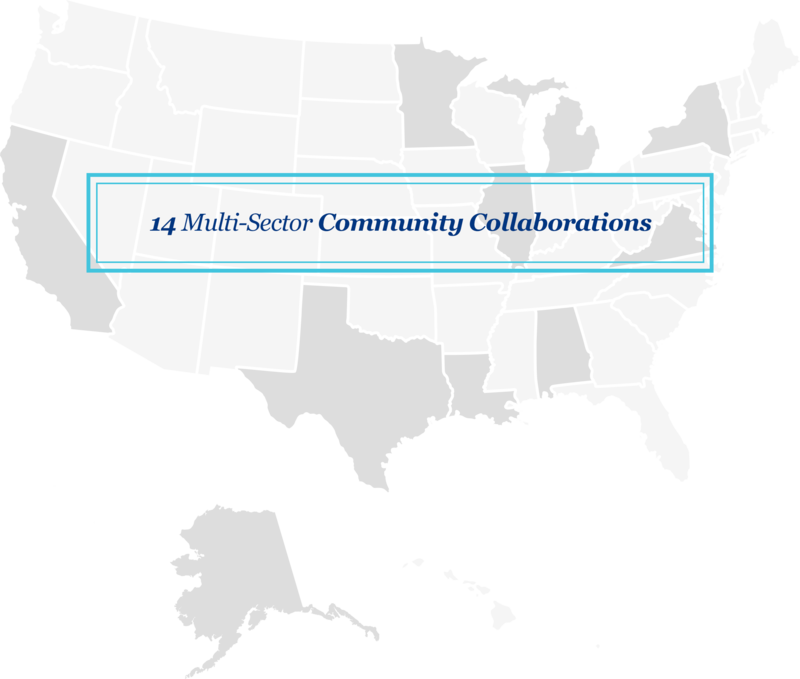 In June 2017, the Kellogg Foundation committed approximately $24 million in 14 multi-sector collaborations in communities across the United States to implement at TRHT process using the framework. Each place received a grant through a coordinating organization for implementing their TRHT and to a growth fund to sustain the work for the long-term. The growth fund is also a place where additional funding is actively being raised and matched by other national, regional and local funders. The investments in each TRHT place range from approximately $1.5 to $4 million and implementation can be from two-to-five years. Starting from different places in each community’s journey and focusing on specific issues and challenges that are most urgent in their regions. Communities will aim to establish a sustainable effort to advance local racial equity work and ultimately build an infrastructure that supports racial healing and transformation statewide. Nurturing and preserving the unique culture of its two major cities while building safe, affordable, healthy and resilient communities. Although the specifics of how racism has manifested differs between Baton Rouge and New Orleans, there are significant shared themes both cities will address on behalf of those most often disenfranchised: mass incarceration, quality of education, access to affordable housing, health care access, immigration/migration, employment opportunities, environmental disasters and climate change. Holding themselves accountable to a data-driven based strategy that lessens the cost of structural racism on the community and increases measurable benefits for people. This includes closing opportunity gaps in regards to quality of life; education and job readiness; and income and wealth; among other areas. Harnessing one of the region’s greatest strengths – its deep roots in community organizing – to address its urgent needs for healing and transformation. Efforts will focus on cracking the surface of Greater Chicago’s seemingly diverse communities, and addressing the impacts that segregation and racial disparities have and continue to make in the area. Cultivating relationships that enhance community infrastructure, championing existing local racial equity efforts and motivating individuals to believe and engage, ultimately changing the way in which Dallas treats its people. Eradicating structural racism and addressing implicit bias that impact all people who make up California’s rich multi-ethnic population in which there is no majority population. Attention to the next generation of leaders who reflect the region’s demographics will be critical to sustainable change. Dismantling key pieces of the city’s social and economic framework that have long reinforced racial oppression and perpetuated societal and economic separation within its communities. Work will involve honest examination and discussions to reshape purposefully discriminatory practices embedded in Richmond’s notoriously under-funded and embattled public school system; limited access to public transit modern economic/employment centers; and public housing that isolates and concentrates the poor in areas with few jobs or services. Implementing all five areas of the TRHT framework to develop mix of solutions that concurrently address the legacy of oppression and help to heal relationships both between people of color and the white community as well as inter-group healing among people of color. By fostering engagement, communities will be empowered to address issues affecting them in politics, economics, education, health and safety. Honoring and building off of the work of local partners from the faith, wellness and social justice communities to advance racial healing; nurturing relationships across communities, and working toward systemic statewide change. What is Truth, Racial Healing & Transformation (TRHT)? Launched in 2016, TRHT is a comprehensive, national and community-based process to plan for and bring about transformational and sustainable change, and to address the historic and contemporary effects of racism. At its core, TRHT will unearth and jettison the deeply held, and often unconscious, beliefs created by racism – the main one being the belief in a “hierarchy of human value.” This belief has fueled racism and conscious and unconscious bias throughout American culture and the perception of inferiority or superiority based on race, physical characteristics or place of origin. TRHT will help communities across the U.S. embrace racial healing and uproot the conscious and unconscious belief in a hierarchy of human value that limits equal access to quality education, fulfilling employment, safe neighborhoods, equal housing opportunities and quality health care. Unless the central belief system that fuels racial, ethnic, and place of origin inequities is challenged and changed, societal progress cannot be sustained over time. Who is involved in TRHT? Throughout its 2016 design phase, WKKF worked with 176 leaders and scholars as representatives of more than 144 national TRHT individual and organizational partners, with a reach of more than 289 million people. The result of those efforts was a set of recommendations and an Implementation Guide to inform community-based TRHT processes. In 2017, there are multi-sector collaborations of people in 14 places across the United States who have received Kellogg Foundation grants, in addition to other national, regional and local funding, to implement a TRHT process. TRHT is a national effort and throughout the next two-to-five years there will be place-based TRHT processes in 14 communities, including: (1) State of Alaska; (2) Baton Rouge and (3) New Orleans, Louisiana; (4) Buffalo, New York; (5) Chicago, Illinois; (6) Dallas, Texas; (7) Los Angeles, California; (8) Richmond, Virginia; (9) Selma, Alabama; (10) Saint Paul, Minnesota; and (11) Battle Creek, (12) Flint, (13) Kalamazoo and (14) Lansing, Michigan. There are also other TRHT-related efforts happening nationally. A primary example being the work of the Association of American Colleges & Universities and their work to establish TRHT Centers at 30 schools across the U.S.
How will the 144 national TRHT partners continue to participate now that the design phase is completed? As voluntary partners, the individuals and organizations all submitted letters of interest and commitment to the TRHT during the design phase. Each individual and organization was asked to agree to the TRHT Guiding Principles throughout the design phase and beyond. Going forward, many of the organizations are utilizing the implementation recommendations within their organizations and are making themselves available to the TRHT place efforts as resources in their areas of knowledge and influence. Why did the Kellogg Foundation initiate TRHT? The Kellogg Foundation has had a decades-long commitment to advancing racial equity and racial healing nationally and in communities. In the most recent 10 years of investment in these areas, the work revealed a clear need to focus more energy, resources and discourse on uprooting and eliminating the false ideology of a hierarchy of human value so that all of us could begin to effectively transform the places we live, learn work and play. The TRHT was launched as a way to co-develop a process by which communities and this country could begin doing that. Is the TRHT the same as a Truth and Reconciliation Commission (TRC)? Across the world, TRCs are well known, having been implemented more than 40 times, but the TRHT is focusing less on reconciliation and much more on healing and transformation. To reconcile connotes restoration of friendly relations – “reuniting” or “bringing together again after conflict.” But the U.S. needs transformation: the nation was conceived in the Constitution and built on this belief in racial hierarchy, a collective national consciousness that has dominated the educational, economic, social and legal discourse for centuries. While, as well noted, resistance and episodic movements through history have contributed to measurable progress, the TRHT will provide needed, collective commitment and long-term determination to embrace a new narrative for the country, a belief in equal humanity for all people. How were these places chosen? What criteria was used to select them? During its design phase in 2016, the Kellogg Foundation began receiving calls inquiring about its TRHT process from communities looking for assistance in responding to significant local racial incidents. 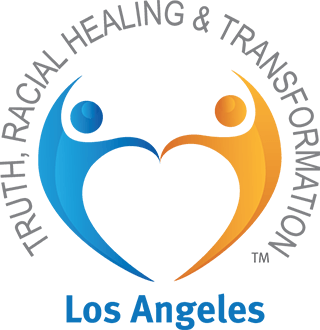 This foundation heard this need and wanted to connect the need to its larger and ongoing efforts to advance racial equity and racial healing. Because, while the TRHT is not a framework for responding to incidents as they happen, it can help communities in addressing the underlying root cause of why these incidents often happen in the first place – structural racism. Ultimately, the foundation selected the 14 places based on the calls it received from communities who indicated their readiness as well as communities where the foundation already had active priority place-based work. In terms of criteria, the foundation selected TRHT places based on three factors: (1) interest and commitment to TRHT; (2) history of that place; and (3) readiness for a TRHT process. Each TRHT place submitted a concept paper drafted by a multi-sector coalition and through the review of the paper and proposal, the final 14 were selected. How much has the Kellogg Foundation invested in TRHT place grants? In 2017, the Kellogg Foundation committed approximately $24 million over the next two-to-five years to 14 TRHT places. Each place received a grant investment for implementing their TRHT and in a growth fund to sustain the work for the long-term locally. The growth fund is also a place where additional funding is being raised and matched by other national, regional and local foundations. The investments in each place range from approximately $1.5 to $4 million and implementation can be from two-to-five years. Will the Kellogg Foundation be supporting other TRHT places in the future? At this time, the Kellogg Foundation is not actively seeking proposals from other places interested in doing a TRHT process. There are a few active conversations in priority places in which WKKF does additional work related to its mission – about potential TRHTs in the future. However, the TRHT Implementation Guide available on racialequityresourceguide.org is available to anyone interested in learning and applying the TRHT process for individuals, an organization, a community or a tribe. To heal is to restore to wholeness; to repair damage; and to set right. Healing a societal racial divide requires recognition of the need to acknowledge the wrongs of the past, while addressing the consequences of those wrongs. Is TRHT going to do more than just get people to “talk” about race? Yes. The TRHT process is a comprehensive effort. It does include conversation and dialogue as essential components to make it work. However, after participants get to know one another and build relationships, the process also involves developing a plan for creating transformational change in one or more areas: the economy, the law and in separation – the things that keep us a part like residential segregation and colonization. When talking about racial healing, who should be healed, and whose responsibility is it to make healing happen? The Kellogg Foundation believes that racism affects all people from all backgrounds. Racial healing is a process that can benefit all people because, regardless of background, we are all living in and affected by the same racialized world. It is our belief that because of this, all of us can benefit from participating in racial healing work and the deep, meaningful relationships that can emerge. And, we believe that is all of our responsibilities to make it happen. It is not one person’s, one group’s or one organization’s responsibility. The responsibility belongs to all of us. What do you mean by narrative change as part of the TRHT? Narrative change means examining how to create and distribute new narratives in entertainment, the media, school curricula, museums, monuments and parks, and in the ways we communicate that can influence people’s perspectives, perceptions and behaviors about and towards one another – so that we can work more effectively and productively towards community-based change. At times this may mean that we need to tell necessary and uncomfortable truths. This can be restorative because it can acknowledge the pain and suffering of racism and the resistance and resilience of those impacted. The TRHT supports people of all ages, races, ethnicities, faiths, cultures and socioeconomic statuses coming together to shape narratives about the past, present, and future – complete and accurate stories that honor the full complexity of our humanity as the country forges a more equitable future. The Kellogg Foundation is grateful to its honorary TRHT co-chairs – the former Mississippi Governor William Winter and the former Massachusetts Governor Deval Patrick. We also extend gratitude to the 176 leaders and scholars that participated throughout the TRHT’s 2016 design phase and continue to demonstrate commitment to implementing TRHT in their organizations and sectors in the future. These people are representatives of 144 national organizations, with a reach of more than 289 million people. The result of those efforts was a set of recommendations and an Implementation Guide to inform community-based TRHT processes. We anticipate ongoing collaboration with these leaders on the ground in communities as well as through our annual National Day of Racial Healing, which falls the Tuesday immediately following Martin Luther King, Jr., Day. Today, WKKF remains committed to ensuring all children and families – regardless of race or income – have opportunities to reach their full potential. We want all children to live a full life with high-quality, early childhood education and access to good food and health care; to grow up in homes with families that have stable, high-quality jobs; and to live in a community where they are nurtured. Embedded within all that we do is our commitment to racial equity, to developing leaders and to engaging communities in solving their own problems. WKKF supports this work nationally throughout the United States and with sovereign tribes, and in Mexico and Haiti. And, we concentrate up to two-thirds of our grantmaking in what we call priority places: Michigan, Mississippi, New Mexico and New Orleans in the U.S., Chiapas and the Yucatán Peninsula in Mexico, and in Central and South Haiti.